National Conference president Farooq Abdullah on Monday filed nomination papers in Deputy Commissioner’s office Srinagar for upcoming Lok Sabha polls. 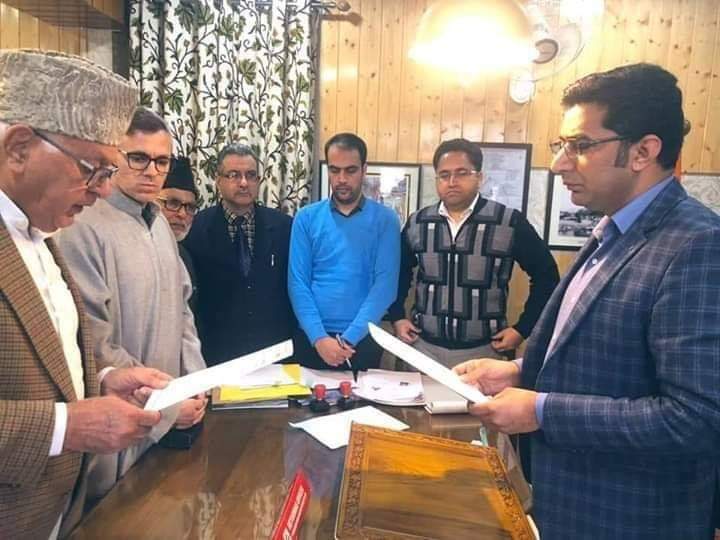 The senior political leader, three-time parliamentarian and former Union minister, is contesting the election from Srinagar-Budgam parliamentary constituency. Besides many party members, former Jammu and Kashmir chief minister Omar Abdullah was also present on the occasion.